Jerome-Max Kelii Holloway is an American mixed martial artist of Samoan descent born on December 4th of 1991. He is the reigning defending UFC Featherweight Champion. He trains at Gracie Technics in Honolulu and Legacy Muay Thai. Holloway is an avid gamer and often streams on Twitch.tv. Born and raised in Wainae, Hawaii, Holloway started kickboxing after graduating Waianae High School in 2010. 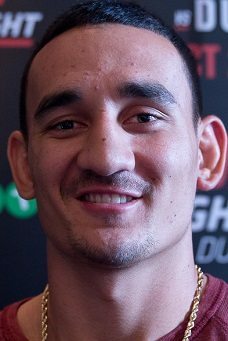 Max Holloway made had one amateur MMA fight in 2010 and won, he made his pro debut the same year against Duke Saragosa on X-1 – Heroes in September the same year. Holloway won another fight in 2010 and continued winning. His 5th pro fight was his UFC debut against Dustin Poirier on UFC 143 – Diaz vs. Condit. Max Holloway unfortunately lost his first fight against Top 10-ranked Poirier. He rebounded with three straight wins against Justin Lawrence, Pat Schilling and Leonard Garcia. His worst losing skid of his career was a fact after he lost to top contender Dennis Bermudez and a decision loss to super star and double UFC Champion “The Notorious” Conor McGregor. The losing streak lit a fire under Max Holloway. He started a incredible win streak that eventually would lead him to a title fight. 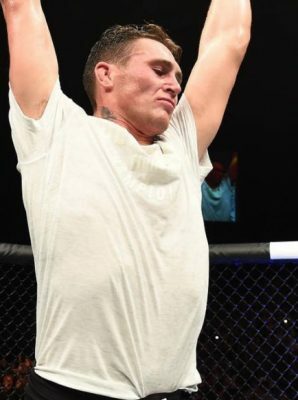 After winning 9 straight fights against tough competition such as Ricardo Lamas, Cub Swanson, Jeremy Stephens and Charles Oliveira he got a chance to fight for the UFC Interim Featherweight Championship. After McGregor won his second title at lightweight and got stripped of his featherweight belt by the UFC, they matched up Holloway with former lightweight champion Anthony “Showtime” Pettis. Pettis missed the fight and with a win he would not receive the belt. Holloway won a dominant fight and finished Pettis by TKO in the third round. After winning the interim title he got a unification with undisputed champion Jose Aldo, and Holloway once again delivered the performance of a lifetime while winning by TKO in the third round after ground-and-pounding Aldo for over a minute. Holloway was supposed to fight former lightweight champion Frankie Edgar, but instead once again faced Aldo after Edgar was forced to withdraw due to injury. Holloway once again beat Aldo by TKO in the 3rd round. At time of writing UFC has no scheduled fight for Max Holloway.